In this hilarious comedic romp, four friends have sworn to keep the promise they made on the night of their Senior Prom: to be in each other's weddings ... no matter what. 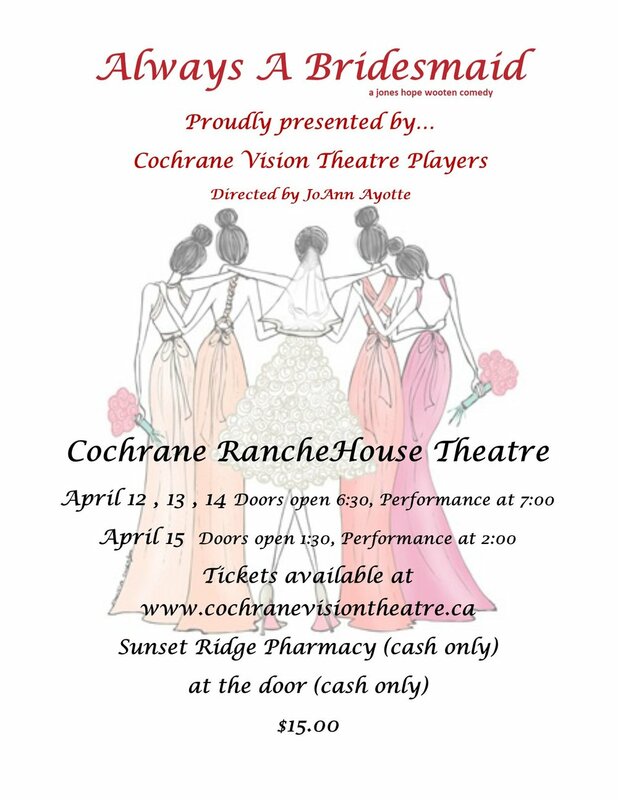 Hop on this marriage-go-round for a laugh-out-loud journey with these beleaguered bridesmaids, as they navigate the choppy waters of love and matrimony. Libby Ruth, Deedra, Monette and Charlie are committed to the notion that careers, waistlines and even marriages may disappear, but real friendships last a lifetime. Forsaking all others, in sickness and in health, they repeatedly struggle to stage the perfect wedding in spite of fistfights at the altar, runaway brides and the mistaken, and unfortunate, release of a flock of white doves on the first day of hunting season. Always A Bridesmaid is the rollicking tale of four loyal and determined women who definitively answer the question, "Just how far are you willing to go to keep a promise to a friend?" April 15 - Doors open at 1:30pm. Show starts at 2:00pm.